A marathon win from @K_Siniakova gave Czech Republic a 6th #FedCup 🏆 in 8 years! What do you do when you have no Petra Kvitova? No Lucie Safarova? No Karolina Pliskova? If you're Captain Petr Pala, you realize how lucky you are to still have Barbora Stycova, then you realize that you have the world's number 1 doubles team, and then you just let the Czech nature take its course. For the Czech nature (different from, but related to, the nature of the Fighting Italian) is such that whoever makes up the team can usually find a way to win. And while this particular Fed Cup final will likely be remembered for Katerina Siniakova's having discovered a leadership role, credit must also be given to Strycova, who had to fight hard against the USA's Sonya Kenin in the opening rubber. That rubber, which took over two and a half hours to play, marked the first time that Strycova had ever come back from a first set loss to win a singles rubber in Fed Cup competition. It was also Strycova's last Fed Cup, so she went out--as she does everything--in style. Kenin, playing for defending champion Team USA, was making her Fed Cup debut, and though she lost both of her rubbers, she performed as well as I expected her to, which was quite well. Kenin was there to win, and once she'd finished giving Strycova headaches, she moved on to Siniakova. The opening rubber (and, as it turned out, the only rubber) on Sunday lasted three hours and 44 minutes, the longest match of 2018. (We could say that they were playing on Schiavone-Kuznetsova time.) During that match, Kenin had to deal with a hamstring injury. Having lost the first set and down 4-5 in the second, the 19-year-old found a way to drag the rubber to a third set. In the third set, which featured more treatment for Kenin's leg, Siniakova took control and went up 4-1. But Kenin, who just refused to give up, took advantage of her opponent's nerves, turned on the aggression, and won five games in a row. At 5-4, 30-0, she was two points from winning the rubber. She double-faulted, then went up 40-15. But Siniakova, who--just a few moments before, looked as though she were mentally exhausted--saved both match points. Something clicked for the Czech player (maybe something about being a Czech player? ), and she suddenly polished her strategy, while her opponent, obviously hurting, began to fade away. Siniakova broke, then went down 0-40--and somehow held for 6-5. That game, in fact, was a microcosm of "Siniakova plays Fed Cup." She just kept going to pieces, then pulling herself back together. Kenin, meanwhile, had a game point to force a tiebreak, but that went away when she slammed a backhand into the net. Then she hit one long, and it was match point for the Czech Republic. 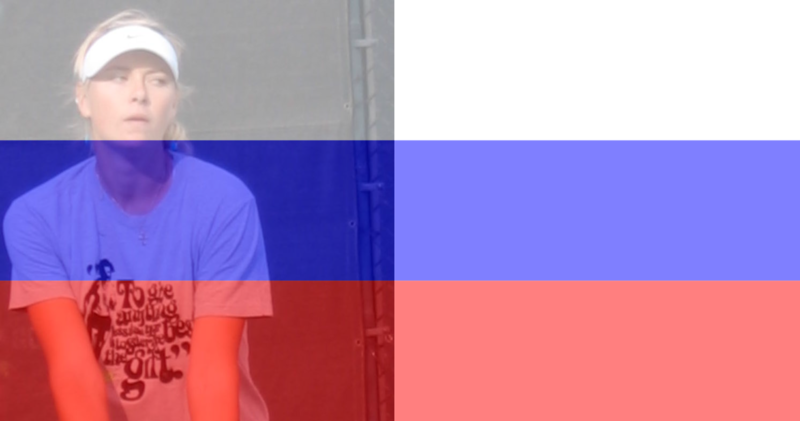 Siniakova wasn't able to convert that one, but she did convert on her second one, defeating Kenin 7-5, 5-7, 7-5. Kenin's service stats were significantly better than Siniakova's, as was her net play. Had she not been injured, there might have been a fourth rubber. As it was, playing that long with an injury only served to intensify what was going on between Kenin and her Czech opponent. In the winners-unforced errors (and bless Fed Cup for being the only venue that provides a tally of forced errors) ratio for the match, Siniakova went 24/43, and Kenin had 42/76. Throughout the weekend, Kenin spent 6 hours and 27 minutes playing two rubbers, which could be a Fed Cup record. Siniakova is already number 1 in the world in doubles. She's also a respectable 31 in the world in singles, and what she did this weekend could very well give her the kind of confidence boost that could make her ranking number rise in 2019. Fed Cup success isn't always the boost a player needs on the tour, but often, it's just that (see Kiki Bertens). This is the Czech Republic's sixth Fed Cup championship in eight years. Also, Czechoslovakia won Fed Cup five times. Sitting in the stands throughout the final were Petra Kvitova, who was too ill to play, and Lucie Safarova, who has just announced that she will retire in January. Both of them had much to do do with the many championships won by their country (as did the absent, and injured, Karolina Pliskova). And let's not forget Captain Pala, a champion among coaches, who has been there for all of the Czech Republic's victories. Prior to Sunday's play, the Fed Cup Commitment Award was presented to both Safarova and Helena Sukova. Between them, they played in 75 Fed Cup ties, and won seven titles. Sukova, who was recently (and finally) inducted into the International Tennis Hall of Fame, holds the record for most Fed Cup wins by a Czech player--57. Finále jsem si užila i jako fanynka! Bohužel, kvůli zdravotnímu stavu jako televizní fanynka. I tak to ale byl skvělý zážitek. Pretty much a coronation of all things Czech. They showed throughout the whole week what it means to be a team. And i'm talking about the mid week interviews, not just the weekend. Win or lose, and they mostly win, their enthusiasm is infectious. It really is. I wish that Italy had been able to expand its team the way the Czech Republic did, but it just wasn’t to be.